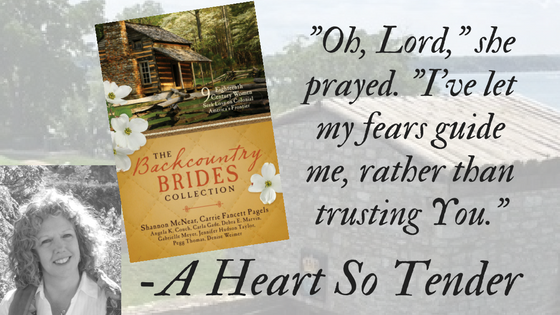 A Heart so Tender is part of The Backcountry Brides Collection which released on May 1st. Lieutenant Archibald Waters, of the 60th Regiment of Foot, ‘the Royal Americans’, does not want to be at Fort Niagara. Even more so when the great Sir William Johnson, Indian Agent for the Crown, and respected for his bravery in battle during the French and Indian War, invites hundreds, if not thousands, of warriors to the very corner of the frontier along the Niagara River. Arch has little desire for friendship with the Seneca warriors that killed his best friend at the Massacre at Devil’s Hole. The only thing that has kept him from succumbing to hatred is seeing what it has done to his commanding officer. When Sir William arrives one hot July day, Arch has one more reason to resent him. Stepping out of a carriage is a lovely English lass who, without knowing it, has caught every eye. When Arch is assigned to see to her safety and that of her adopted Iroquois brother, he must set aside his frustrations, and eventually, his assumptions about her. Protecting her is second nature but as more warriors arrive by the day, accepting her affection for the Iroquois people is much more difficult. I hope you’ll get the opportunity to read A Heart So Tender set in 1764 Fort Niagara and find yourself immersed in my hero’s journey of renewal, and a story built on the importance of friendship during an unprecedented true historical event. Oh, and bring an umbrella for a side trip to the mighty Falls. I really enjoyed your novella, A Heart so Tender, Debra! The Backcountry Brides Collection is an awesome collection! I may be a *tiny* bit biased … but I think it’s an awesome collection too! Thanks Tina! I’m glad you enjoyed it. Your support is appreciated! Also, if you are interested, the authors are doing a rafflecopter with giveaways! Thanks so much!